As a business owner, you’re used to feeling like it’s up to you to find a solution to any and all problems that you come across in your establishment. Whether it’s a problem with an employee or it’s pests that are finding a way into your office space, it’s not uncommon for business owners to try and tackle all problems on their own. 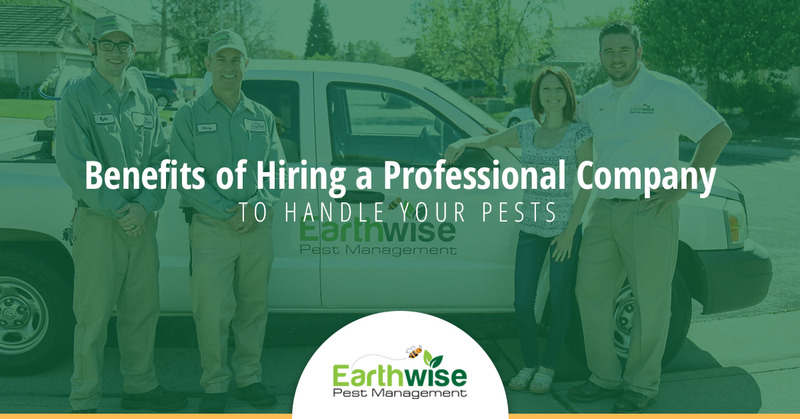 While we entirely understand how tempting it can be to try and tackle pest control problems on your own, the reality is that you’re far less likely to enjoy results when you handle problems on your own rather than choosing to hire a professional company. If you’re on the fence about whether or not you should choose to hire a professional, keep reading. We’re going to touch on a few of the benefits that you’ll get to enjoy when you hire a professional pest control company to tackle the insects and pests finding a way in your commercial building. Every member that you add to your team is going to be trained adequately, right? In order for your business to be as successful as possible, you need each member of your team to have in-depth training. It’s the in-depth training that a team of professionals has that makes it ideal to work with them, and the same can be said about your pest control. While you may be willing and able to tackle your pest control problem, you don’t have the same in-depth training that a team of professionals will have. From the education that allows for our team to recognize and treat each pest to the experience we have to create a solution, the training that a professional pest control company has is only one of the benefits you’ll get to enjoy. One of the reasons that DIY pest control isn’t successful is because the proper equipment isn’t being used. The second reason that you should hire a team of professional pest control individuals is because they’ll have the equipment needed to provide long-term results. Depending on the type of pest that you’re dealing with, the equipment could make all the difference. Unfortunately, it’s not until a pest problem returns that you realize how necessary the right equipment is. Don’t wait until you have a recurring pest problem to recognize how important the right equipment is. Let a team of professionals come in and provide you with the proper treatment using the right equipment. There are all sorts of pest management products that can be found in the common grocery and home goods store. If these products are so easily accessible, why wouldn’t you just tackle the problem on your own? The answer is plain and simple, these products only provide short term solutions to your pest control problems. While a majority of these products will eliminate pests or help you catch them in your office, they aren’t going to get rid of the problem and ensure that it doesn’t continue to happen. Earthwise Pest Management, in particular, strives to provide long-term results that minimize the chances of pests coming back. If you’re looking to take care of the pests in your commercial space once and for all, then you need to hire a team of professionals. Pest management and pest control require knowledge of the pest and the treatment for it to be entirely safe. When you’re not fully aware of the dangers, you’re putting yourself in harms way. Even some of the smallest pests could pose a danger to you and your employees, which is why you should always call on a professional. This is easily one of the most important reasons that you should contact a professional pest control company to tackle your problems. By having a professional with years of training under their belt tackle the problem, you can rest assured that you, your employees, and your office are all out of harm’s way throughout the process of removing the pest. We cannot tell you how many times we’ve come across individuals that have used pesticides and equipment without a thorough knowledge of them and have wound up doing more damage than good. Rather than put yourself in that position, leave it to the professionals and feel confident in the fact that the job is being done correctly and by someone that knows what they’re doing. Earthwise Pest Management provides commercial pest control services to the Sacramento area. Don’t add your pest problems to your plate that’s already full. Our team has the experience, equipment, and training to provide you with the long-term solutions that you’re in need of. Reach out to our team today, and we’ll get your pest control services scheduled. More importantly, we’ll talk to you about preventative services and regimens that can minimize the chances of pests in the future. Don’t wait any longer, contact Earthwise Pest Management today!